Golf Course communities Mount Pleasant SC. Mount Pleasant SC is the Charleston area’s most coveted suburban town in the tri-county area, due to its proximity to two beach communities, Shem Creek, 5 golf courses (4 of which are country clubs) and the vast dining and shopping. As mentioned previously there are four country club golf course neighborhoods in Mount Pleasant SC, one public golf course, and one in what is technically Awendaw SC about 15 mins outside of Mt Pleasant. The Mt Pleasant area has some of Charleston’s best golf communities, but there are as many golf courses in Summerville as Mt Pleasant, but you’re trading a much nicer lifestyle and distance from the beaches & the city for lower home prices. Current active MLS listing are on the market for 117 days. Located on HWY 17 just past the Isle of Palms connector Snee Farm Country Club is a 6,834 yard, 18 hole, par 72 course with marsh views and offers an enjoyable yet challenging round. To play at Snee Farm you must be a member or you must come with a member and greens fees do apply. The neighborhood was developed in the 1970s, and real estate for sale in Snee Farm Country Club has a few newer homes (mostly from the 90s), condos, and townhouses. The country club does have traditional offering like most do: swimming pool, golf practice area, dining, and tennis facilities. MEMBERSHIP DETAILS. Located in North Mt Pleasant off HWY 41 this par 72 course plays 6871 yards and is interwoven among pine trees, live oaks, creeks and marsh. Personally one of my favorite golf courses in Charleston, Dunes West country club in Mount Pleasant can hold its own against any golf course you’ll find in the area. Homes for sale in Dunes West range from multi-million dollar estates on the Wando River, to condos and townhomes. The golf course is open to the public at all times, but they do have member tournaments often. Unlike where Snee Farm a membership is required, at Dunes West is not. The club offers dining, tennis, two swimming pools, and more. MEMBERSHIP DETAILS. Just like Snee Farm in that it too is located just off HWY 17, Charleston National Golf & Country Club is what I consider my “home” course, but like Dunes West, it too is a public golf course. Membership is not required to be a homeowner in Charleston National. A Rees Jones designed championship golf course par 72, stretches just over 7,100 yards from the tips and is carved through marshland, creeks, and oak trees. Ranked #1 non-resort golf course in the Charleston area by Golf Magazine this too is one of my favorite reasonably priced courses in the Charleston area that I play often. They too offer a VIP non-member option which is very popular with residents of Mt Pleasant. Homes for sale in Charleston National include townhomes, waterfront creek homes, starter homes, condos, and a few lots still remain. MEMBERSHIP DETAILS. Situated among scenic marshlands and majestic live oaks with thirteen holes playing along the Wando River and Horlbeck Creek, this 18-hole Arnold Palmer Signature course features exceptional year-round playing conditions with five sets of tees from 5100 yards to 7200 yards. Located across the street from the entrance to Dunes West, Rivertowne Country Club was developed in the 1990s and the backside of this golf community is along the Wando River with deep waterfront homes with docks just like Dunes West has. Rivertowne unlike the other three country clubs it does not offer townhomes or condos, but it does offer smaller “starter” type homes in addition to the $Million plus waterfront houses. Real estate for sale in Rivertowne has multiple sections all offering different things, but the traditional amenities are still available such as: swimming pool, golf practice area, tennis courts, and clubhouse. Rivertowne is one of the nicer public golf courses in Charleston SC as well. MEMBERSHIP DETAILS. 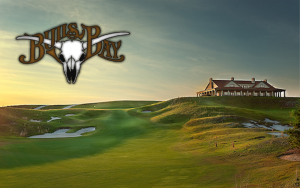 Bulls Bay is a private gated golf club, not a country club and it too is located off HWY 17 but about 15 mins drive further north from north Mount Pleasant in a town called Awendaw. This is a very unique community, which could be compared to Briar’s Creek on John’s Island. It does not offer a swimming pool, or tennis facilities, and it is not on a body of water, but it is on marsh. Real estate in Bulls Bay for sale is still reasonably priced, but what makes it unique is the site of the lots and that it’s a links-style golf course. The course and the clubhouse is like no other in Charleston. With larger lots, and even a few “estate” lots owners would be expected to have the ability to build their own pool or even tennis courts should they want.